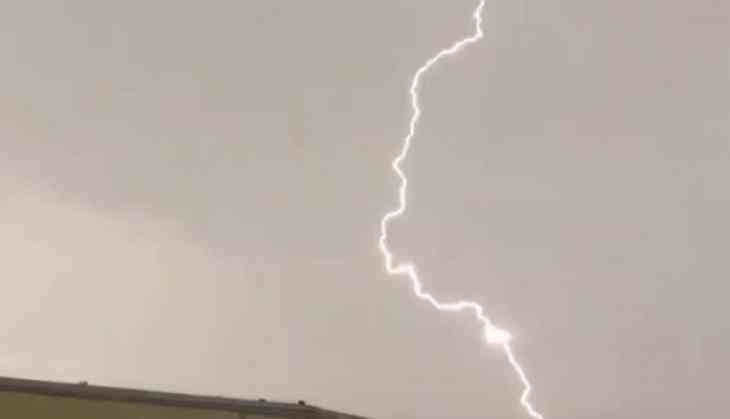 Five persons were killed and a girl sustained severe burn injuries due to lightning in Bokaro and Lohardaga district, the police said. Four minor boys were killed when lightning struck a house in which they took shelter during rain and thunderstorm in Alkusha village of Bokaro district yesterday. All the victims were rushed to a hospital in Bokaro but doctors declared them brought dead. In another incident, a girl sustained severe burn injuries when she was struck by lightning in Jara village in the district. She suffered 65 per cent burn injuries and was admitted to the Bokaro General Hospital, the police said. A Lohardaga district report said a farmer was killed due to lightning when he was returning home after working in his paddy field in Perhepat village.